At M-Way Solutions we've been building large-scale enterprise-level apps with Ionic for the past two years. 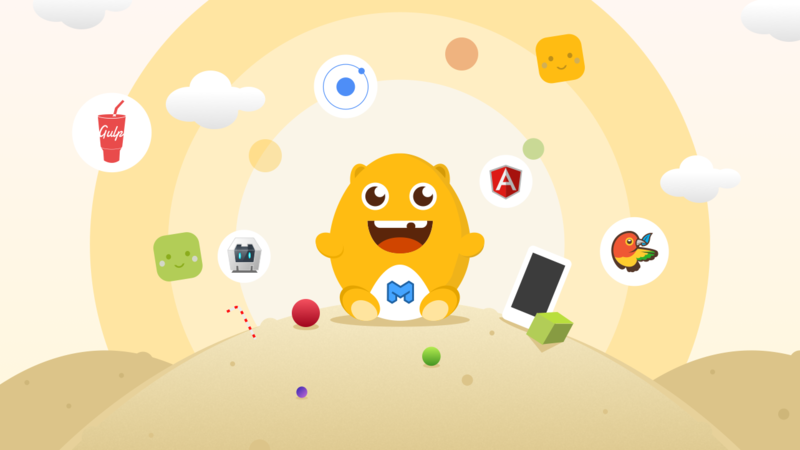 The challenges we faced sparked the creation of Generator-M-Ionic, a powerful open-source collection of development tools alongside the Ionic CLI, that put the fruits of our extensive experience right at the end of your fingertips. Are you looking for a single tool that you can use to quickly create compelling prototypes for impressing your customers AND that later scales with complex project requirements like testing, quality assurance, and continuous integration? Then look no further and prepare yourself for a thrilling ride through our generator's Building-apps-with-Ionic adventure island! First stop is at the ancient ruins of Pre-Ionic-mobile-app-development: We've been developing mobile apps long before Ionic made it into our development stack along with Angular. We consistently explored different combinations of MV* frameworks and mobile frameworks throughout the years, we even developed our own mobile framework for quite some time but Angular & Ionic kept consistently impressing us. Focussing on Angular and Ionic allowed us to tackle many of the other challenges that app development, our business and enterprise customers pose. So it now stars as the one go-to starting point for ourselves and a growing community when it comes to mobile app development with Ionic. And you can start using it today! Whether you're throwing together a proof of concept for a customer or a prototype for a presentation, the project is able to seamlessly transition into a full-fledged powerful enterprise app, no matter which platforms or sets of devices you are developing for. So pack your shovels, buckets and the rest of your building-equipment and meet me in the playground to set up your first app! While I will try to explain everything from the ground up, I do expect you to have some experience in web development and development with Angular and Ionic in general. So before we dive into the sandbox we'll have to check whether your system is ready for cross-platform HTML5 app development. The first thing you need to install is Node and the Platform SDKs for the platforms you want to develop for. The latter is only needed if you want to run your app on a real device during development. Have you already built apps using the Ionic CLI? Then chances are high you already have those installed and don't need to do it again. You haven't? Then follow our Installation and Prerequisites Guide. This will install Generator-M-Ionic using the node package manager along with the popular web development tools Bower (manage and install client packages like Angular), Yeoman (runs the generator and scaffolds your app) and Gulp (runs all post-setup tasks). If you don't know what these are, the What's in the box Guide can help shed some light on the technologies Generator-M-Ionic uses. If you're not sure what some of these mean, they are explained in the Questions introduction document. 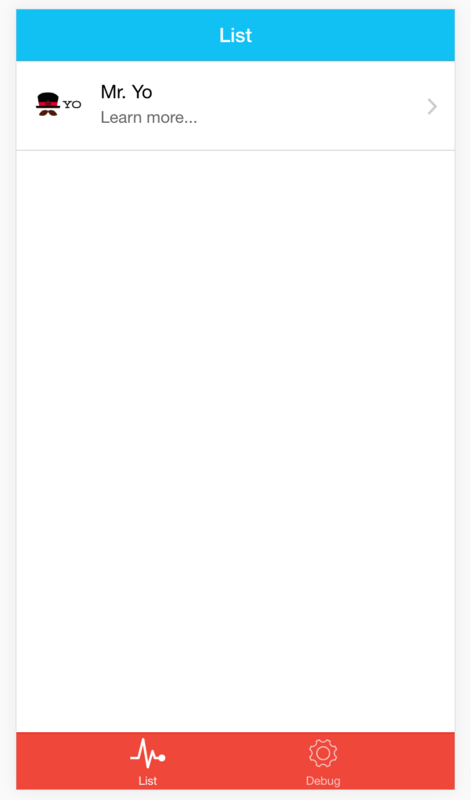 For the rest of this series I'm going with tabs as a starter template. When you've answered all the questions, all the node and bower dependencies will be installed for your project. This might take a while but luckily you'll only have to do this once for each project. Your default browser will open up automatically. If you don't want that, adding the --no-open flag will prevent opening your browser or a new window. Now activating your developer tools (cmd+alt+i in Chrome on OS X) will let you see your app as below. You'll notice that we have already talked about most of the files that Git finds. Worry not, we will discover the rest of them step by step throughout this series. However you might also notice that Git ignores all the third party code of Bower, Node and Cordova, namely the app/bower_components/, node_modules/, platforms/ and plugins/ folders. This is done using the .gitignore and .gitattributes files which got accordingly configured during project setup. Thus Git ignores all files that aren't source files or in any other way specific to your project, keeping your repository nice and small and your commits clutter free. For the curious of you there's a Git integration Guide in the documentation with more particulars. git commit -m "project setup with yo m-ionic and gulp watch"
Side note: I'm using double quotes on any terminal related strings, because they're safe on all systems. On OS X or Linux, using single quotes is just fine. You've taken your first steps with Generator-M-Ionic, learned about file structure, gulp watch and Git integration! Take your development to the next level in part 2 of our series covering quality assurance, adding a variety of ingredients to your app and integrating into different ecosystems like Ionic Platform. Feedback, ideas, comments regarding this blog post or any of the features discussed here are very welcome at our Generator-M-Ionic's Github repository or the Generator-M-Ionic Gitter Chat. Originally published July 5, 2016 on the Ionic Blog in a slightly modified version.